Remember when I did the fireplace backsplash? I updated it a bit. I have a lot of wood wall planks left over from when I went crazy and bought all I could find because it was on clearance for $3.50. I bought two different styles. The planks I used in my son’s bathroom were plain tongue and groove, but I also purchased a couple of packages of the wide beadboard looking planks. 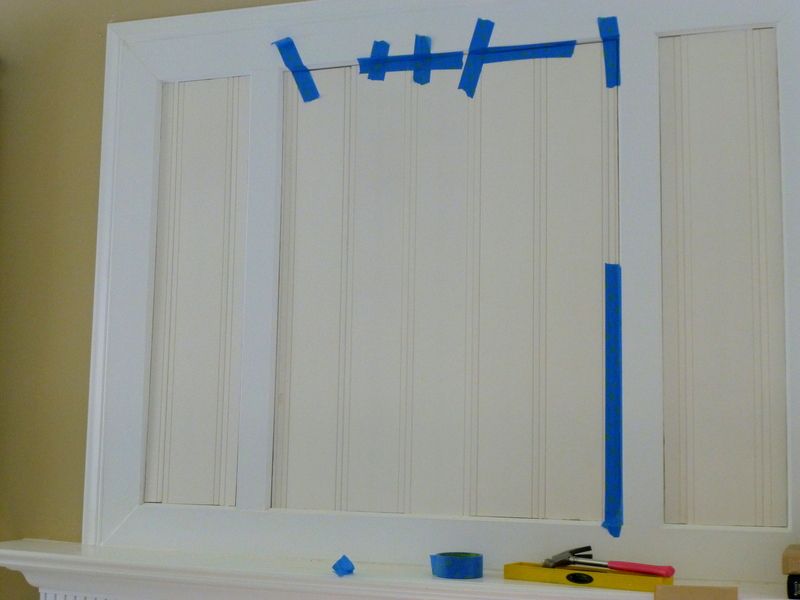 This DIY project was quick and simple! A little extra character for very little money. 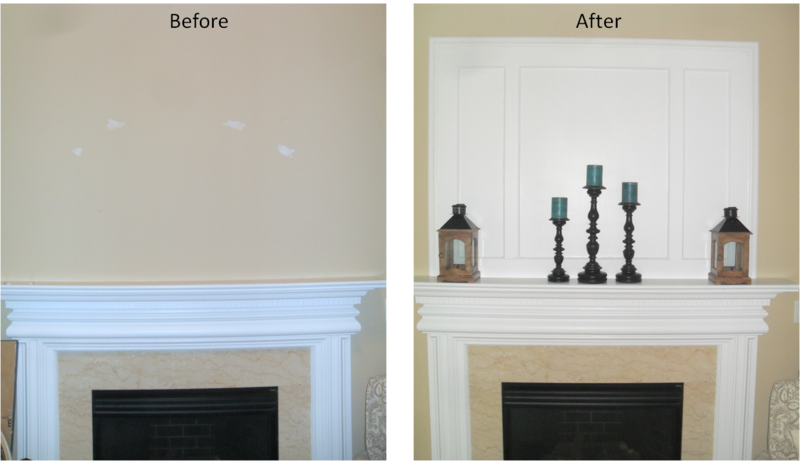 This is a picture of the fireplace before and after the first time I did it. 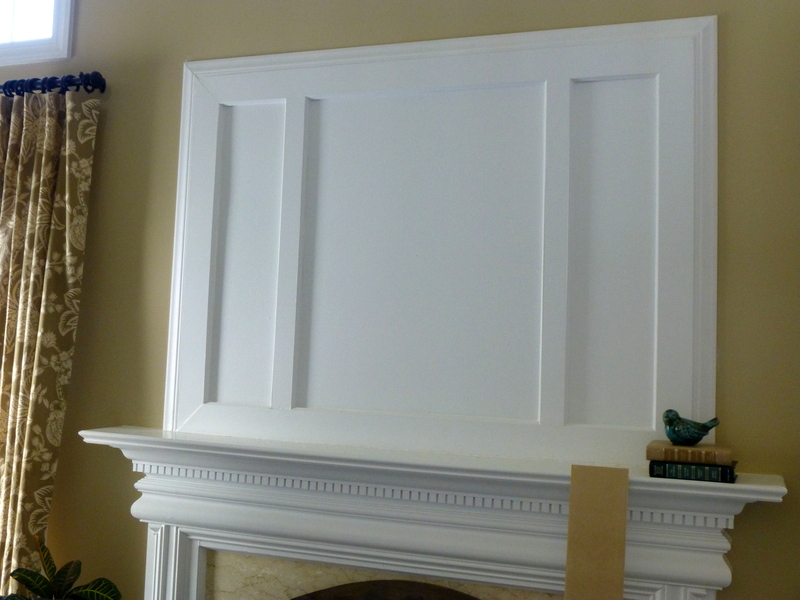 I cut the planks to size, then added the first piece to the middle of the fireplace. That way the planks would end at the same place on both sides. The boards were trimmed length-wise with a circular saw. I used a nail gun to attach the wood planks to the wall. I just love that thing! 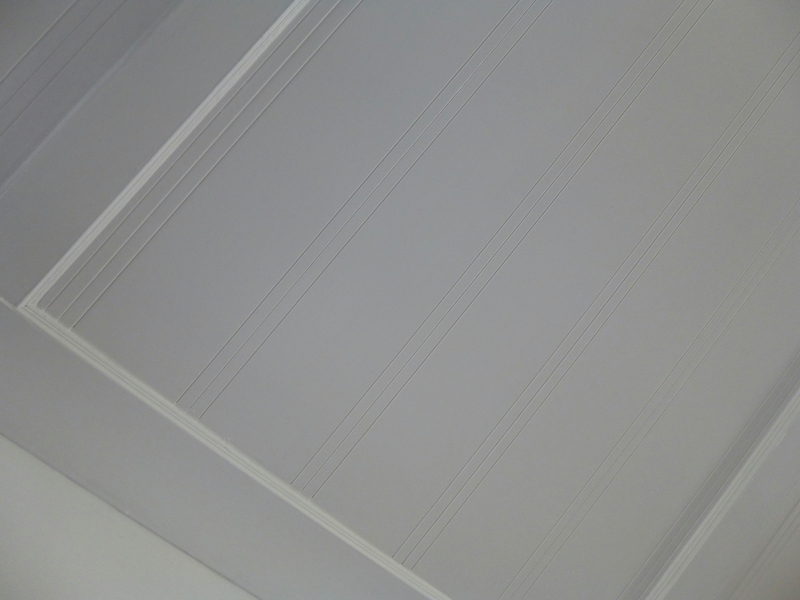 A close up after it was caulked and painted. The after After! Not a huge difference, but it looks more finished now. It took one package of wood planks, so it cost only $3.50! Gotta love that! Posted in DIY (you can do it! 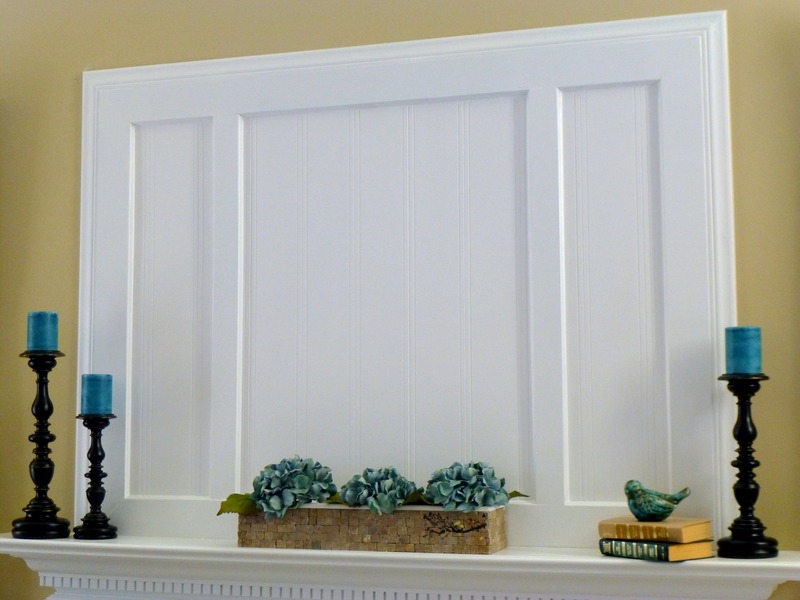 ), DIY Decor and tagged Backsplash, beadboard, DIY, DIY projects, Do it yourself, Fireplace, Fireplace mantel, home decorating, tongue and goove, Wood Planks. Bookmark the permalink.